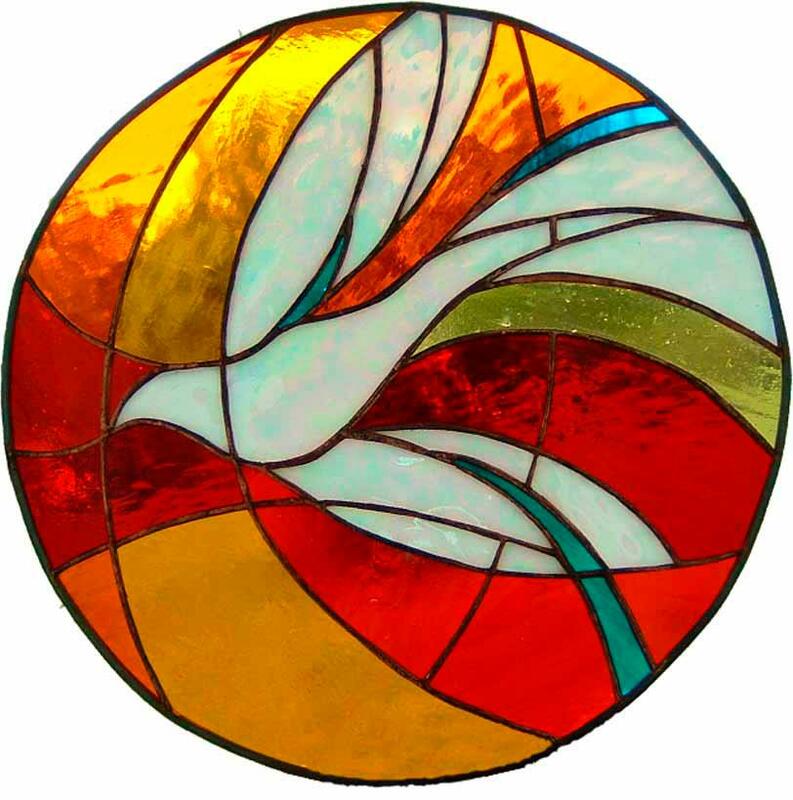 Today we celebrate the Feast of Pentecost, the birthday of the Church. And what a joyous feast it is! The readings speak of our birthright as Christians. They encourage letting go of fear; being at peace; welcoming the amazing power, gifts and surprises of the Spirit; stretching boundaries and forgiving. This feast calls for energy, new life, amazing possibilities. We are not to be paralyzed by fear, structures, laws, criticism, stereotypes, past hurts, misunderstandings. We are alive in and filled with the powerful Spirit of God! We are called, inspired, encouraged and sustained by the gifts of the Spirit: wisdom, understanding, counsel, fortitude, knowledge, piety and fear (wonder, awe) of God. What is keeping me from experiencing the powerful gifts of the Holy Spirit? Of what gift am I most in need at this time? Do I recognize that my gifts are not given for my use alone, but for the good of all? How can I re-energize my faith in the Spirit of God? Spirit of God, come upon us anew as you did the early disciples on Pentecost. Shake us up and energize us for the work of sharing our gifts with all in love and compassion. Creative Wind, blow where you will, clearing away what is tired and worn and discouraged! Give us new life and energy for the challenging days ahead. Come Holy Spirit. Renew the face of the earth! Follow the SISTERS on Facebook! 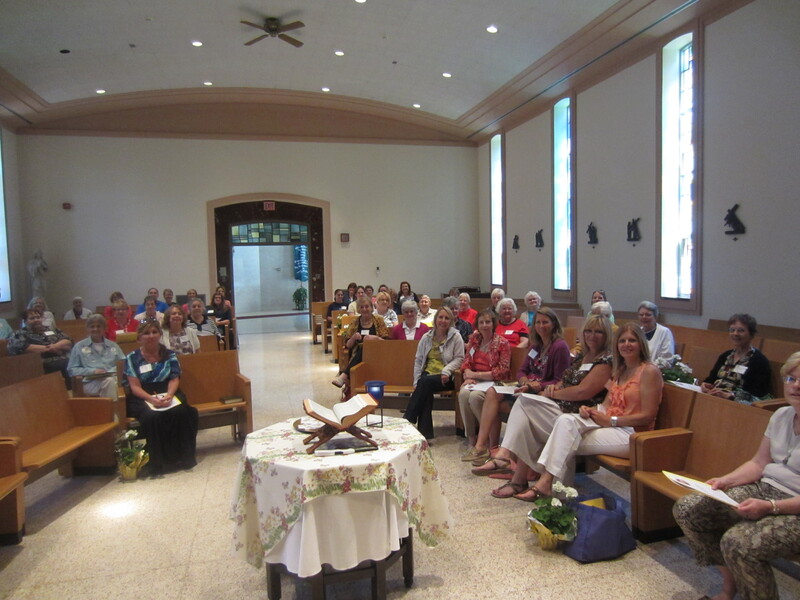 Follow the Oldenburg Franciscan Center on Facebook! It begins with a simple yellow flower (weed?). Whether flower or weed depends on who is looking at it. A child sees something beautiful. A wine-maker or herbalist may see something valuable. A lawn-keeper sees something ugly and unwanted. Some people see a symbol of how quickly something can spread, because one dandelion has so many seeds in that puffy crown, a small lawn could be covered in gold by one summer. Malicious gossip is like that. There is the story of a man, Ray, who spread false rumors about another. So malicious were they that in the space of two weeks that person’s reputation was damaged so badly his business failed. Ray was shocked. “I cannot ever gather all those feathers back. Some have flown so far I could never track them,” he said. Whoever coined this phrase is to be applauded. God be praised for the lowly dandelion, which has more than one lesson to teach us. Thank you, Women of Wisdom!! Women’s Day 2012: Women of Wisdom! Did you have a favorite moment, or walk away inspired by a particular story, quote, or experience you had this weekend? We’d love for you to share it with us! Comment on our blog, or on our Facebook page, or e-mail us at aroesler@oldenburgosf.com. A colleague of mine who had been all over the world once said, “I have been in many cultures and found that all of them use salt. But never once anywhere has salt been served as the main dish.” We all chuckled because to imagine salt as the main dish seemed ridiculous. And it is. We all know a little salt goes a long way. Just have a prankster unscrew the top of the salt shaker and you have proof! 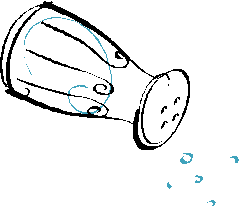 Do you remember times when someone was a salt shaker with a loose top? They give you a very good point but spend so much time telling you the same thing over and over you want to say “All right, already!” A good idea or prayerful thought can lose its power because of too much talking. Like a good meal must be chewed to be enjoyed, good thoughts must be pondered. And that takes time. I think that is why Jesus called us salt. A little bit of us goes a long way. To use another analogy, Jesus planted the seed in others, but they had to make it develop and grow by following his teachings. He did not pound people into growth. To most individuals who had sinned he just said, “Go, and sin no more.” He did not point out their sin, or exact a promise that they would go the straight and narrow path, or even tell them exactly what they should do. He forgave them or healed them, and that little phrase, “Go, and sin no more,” was all it took to change their lives. In discussions then, in table talk, in reading, you (and others) will benefit if you stop verbalizing a bit and ponder, think, ruminate on what you have taken in. Do not forget to let others take time to do the same. Too much chatter can weaken the message. Old movies hold a special charm for me. I enjoy the simplicity of the story line, the development of characters on screen, and the music. New movies don’t have the same charm for me. INVICTUS comes closest to what I call a really good movie. I must admit that the musicals sometimes bog down into much music and not enough dialogue, but still there is something…maybe I am just getting old. We had a short winter this year and spring came very soon, even before we had the chance to tire of the snow, of the cold, of the barrenness of the trees. Some of us missed watching the snowflakes dancing and the glistening white of the snowfall. But all of that is put aside. We have forgotten it, because we have the loveliness of spring. I know there are some of us, who hope the spring will quickly give way to summer. We will have put aside the buds on trees, the daffodils, and forsythia. We would like to make things move faster to get rid of the very things we welcomed not so long ago. The difference is not in the snow or the buds. The difference is in us. We welcome the snow of Thanksgiving and Christmas, but we do not like the snow of Easter. We delighted in the buds of spring, but we long for the roses and shade trees of summer. Something very similar happens in our relationships; we welcome the differences we see in our new employee or caregiver. But as time goes by those very things that seemed so great in her or him look different now. The Employer or Patient inchworm measures everything, but doesn’t stop to see how beautiful the differences are. This is also true of the marital inchworm. A Spouse measures but does not look at beautiful differences. We delight in our children, but if one of them decides to follow a path that is not in OUR game plan, or brings home a significant other who is definitely not significant to us, we measure with our own tape, with our own mindset and do not see how beautiful the relationship can be. We also take things for granted. The paper is to be at our door by 6:30 AM. When it is not there, we are unset, disgruntled, maybe even downright nasty about it. We do not even care WHY it is late. We do not want to know of a crisis the distributor may have had. We just want it when we want it. From the time we awaken in the morning until the time we crawl in bed at night we are surrounded by things and happenings that we take for granted. Try making a list of things in this category. To begin with, you take it for granted that you will wake up! Then you take it for granted that water will flow when you turn the tap that the water will be safe to drink, that the water will flow down the drain, that the hot water will be hot and the cold water, cold. We expect that there will be food for breakfast, coffee or tea or orange juice. We take it for granted that the car will start. We expect to see each other when the work day is over. And so on and on and on. If we think now and then about how many people must do things to make our day go smoothly, we might have a different attitude about what happens. Here is an example. We turn on the tap and fill a glass with water. In the Gospels Jesus says, “Anyone who gives a cup of cold water because of Christ, will receive a reward.” Now if you work for the water company and make the intention of providing water for people in Jesus name, you have a good chance of getting a whopper of a reward. After all it only takes a cup, and you are providing hundreds of gallons. But you have to think about it. Those of us who turn the tap would do well to remember that water made us Christians in Baptism, and your work for the water company keeps us clean, provides means for cooking and is a delight for warm summer days as we boat, fish and swim. 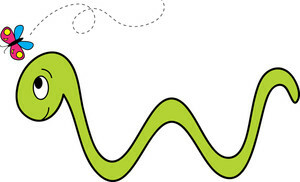 If on the other hand, we measure the gift of water only by the cost of the bill at the end of the month, we are like the inchworm measuring but not seeing what we measure. When you must measure, be sure to look for the beautiful things. Do not be like the inchworm finding purpose in the signs rather than the message. You are beautiful to God and to me! As I drove through the Michigan countryside one evening after work, I came upon a large agricultural sprinkler. The water was spraying out steadily, and the wind blew it into a fine mist. Behind the sprinkler, the summer sun was setting, causing a myriad of rainbows to appear here and there across an otherwise ugly structure. It reminded me of the crystal that hangs in my window. 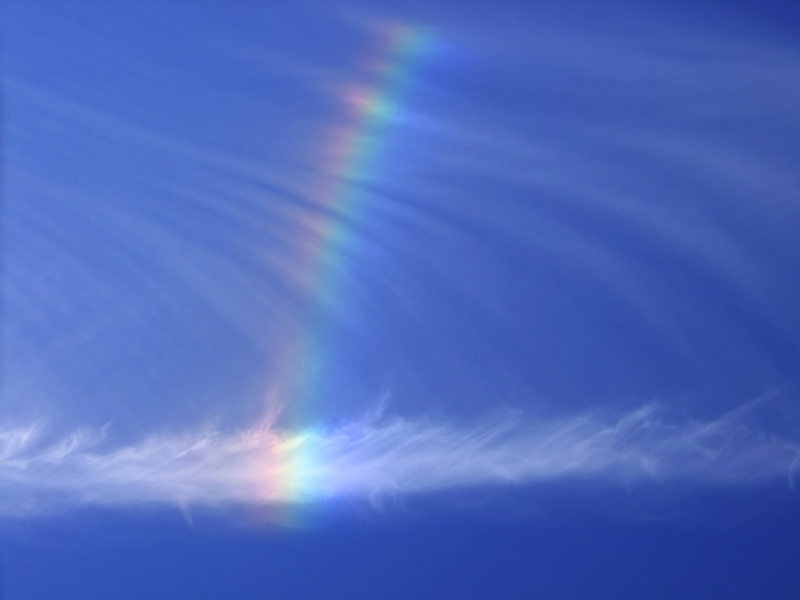 At certain times on a sunny day, little arcs of rainbows dance across my wall. The sight never fails to bring a smile to my face. There is something about these unexpected flashes of color that delights me. Perhaps the reason is because they are so unexpected. Oh, I suppose that someone in a laboratory could find a way to create rainbows at will. And at least one hotel in Texas has made rainbows part of their lobby décor by placing prismatic windows at strategic points. But by and large, rainbows just happen. Besides being a sign given to Noah that Earth would never again be totally flooded, I’d like to think that rainbows are a reminder that the unexpected can be very beautiful. However, if we are locked into expectations of our own creation, we may miss the beauty that the unexpected offers. We adults are most at risk of missing this. Do you remember finding a rainbow in a little oil soaked puddle of water after a rainfall? Children can become intrigued by such things. Adults have a tendency to look at the spill and wonder there is an oil leak in the car that needs immediate repair and how much it will cost. They miss the rainbow! When did you receive your last rainbow? Was it the time when you had a picnic planned, but unexpected company arrived causing you to cancel your plans, only for that visit to become the best thing that happened all summer? Or perhaps your daughter had a dance recital that you really dreaded attending for one reason or another, but when you found everyone talking about how poised and graceful she was, you almost burst with pride? Or maybe you experienced a rainbow when the dish you prepared for dinner was a flop according to the recipe, but the family loved it! And my personal favorite: I am in a hurry to arrive to an appointment and there are no parking spaces in sight. To make matter worse a car pulls out right in front of me causing me to slam on the brakes! Just as I am thinking thoughts not conducive to gentleness, I find that she has just vacated a parking place right in front of me! Rainbows! Friends and spouses offer many unexpected rainbows. But we must be ready to back off from our own ideas to receive them. Isn’t it amazing how we expect someone to know what we are thinking, but we become incensed when they expect us to do the same. If I am negative about what my friend or spouse suggests, I may be missing some of the most beautiful moments of my life. Some RAINBOWS are whoppers. People can drive and drive and never reach the end of them. Some of the greatest rainbows might be like meeting the person who will become your spouse in a chance encounter simply because you made a wrong turn in a corridor of an office building. Some Rainbows are medium sized. Those might happen when you unexpectedly find an exact match to the china plate you broke at Aunt Bessie’s that you believed to be irreplaceable. But most rainbows are little ones, like bubbles coming out of the detergent bottle, or finding a chocolate kiss when you thought there was no candy in the house. All rainbows are wonderful. Be sure to watch for those little ones though. They keep you in touch with good things and attuned to the Medium and BIG rainbows. When you are wished rainbows, remember that they are best when they are unexpected. Work at allowing them to happen. Don’t fight them. You will find joy, and your joy will spread to others. I wish you rainbows, Rainbows and RAINBOWS!! !